Our research found that alcohol company executives viewed increased health consciousness among consumers as an opportunity for the sector to innovate and grow their sales. Product developments and campaigns over the past few years confirm that producing supposedly healthier or ‘better for you’ alcohol products was of high priority to alcohol companies. We identified large campaigns designed to promote beer as “99.9% sugar free” and an alcohol ad that looks “more like a Nike ad than a beer ad”. Wine producers developed low-alcohol and organic wines that are designed to appeal to health conscious women. The ready-to-drink sector developed products made with “natural”, “pure” and other supposedly healthier ingredients, and sugar-free varieties of products. One product, for example, is made with “purified water” and “infused with electrolytes”; its claims include “no sugar”, “no carbs”, “no colours” and “natural flavours”. Unfortunately, these products are not genuinely healthier and they carry all the risks associated with the alcohol component of alcohol products, based on the volume of alcohol they contain and the associated calories. These products and the way they are advertised are cause for concern as there could be significant implications for the way they are seen by consumers. Recent research from Cancer Council Victoria showed that more than one in three men (35 percent) and one in five women (22 percent) incorrectly think low-carb beer is healthy. Research from the tobacco and food fields shows that consumers view food with a health claim as healthier than the same products without a claim; this is known as a health halo effect. Consumers may also use more of the product advertised as healthier as they may believe that there are fewer health consequences or risks. Australia’s regulatory environment is failing to stop some alcohol products from being promoted as supposedly healthier. Food Standards Australia and New Zealand specify that a nutrition or content claim cannot be made about alcohol, other than a claim about energy, carbohydrates or gluten. However, claims like “fresh”, “pure” or “natural” are not considered nutrition or content claims and are not regulated. The alcohol industry’s self-regulatory advertising system, the Alcohol Beverages Advertising Code (ABAC) Scheme does not restrict health claims specifically, and complaints regarding products’ association with health have been dismissed by the ABAC Adjudication Panel due to narrow interpretations of the Code. Calorie content is only an indicator of a product’s healthy credentials, and the presence of natural ingredients is only a proxy for healthfulness. Health experts recommend reforms to alcohol marketing regulation that include strong, independent, legislated controls on all forms of alcohol marketing and promotion, and prescribe permitted alcohol marketing content. 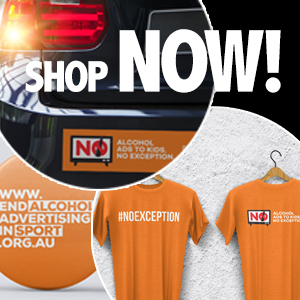 Governments should legislate against alcohol companies using health-related concepts, as part of these broader legislated controls on alcohol marketing. This post was first published on Croakey.